This KitchenAid toaster has two slots with a one and a half inch width on each side for larger slices of bread and pastries. It has an empire red accent on the sides and is constructed from metal, with steel elements for thorough and even toasting. The bagel feature reduces power to the outside elements while toasting the inside on full heat. 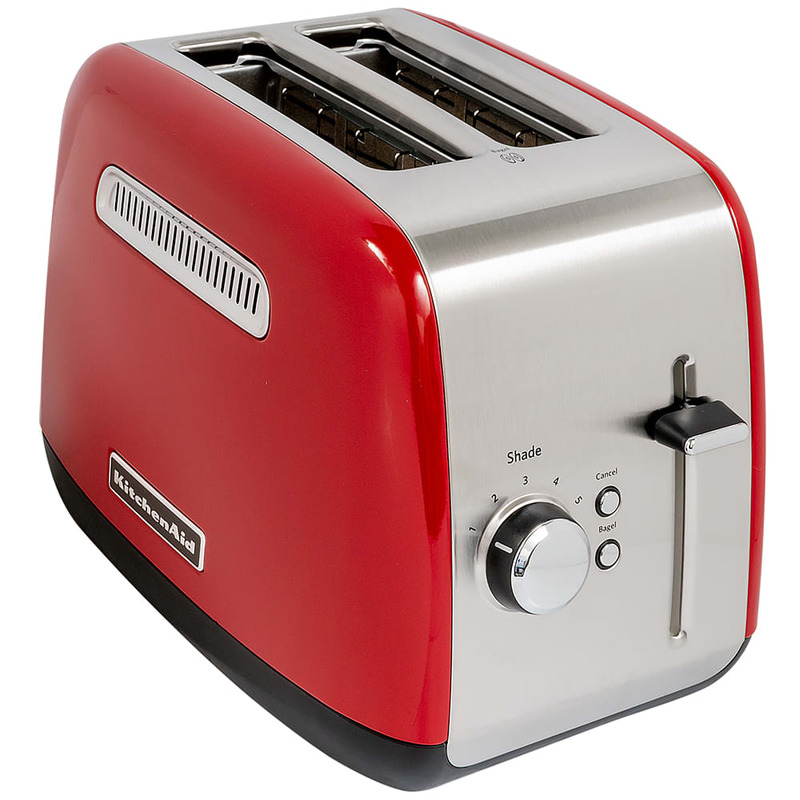 The toaster has a shade control knob that enables users to choose their toasting level by turning a dial.